Adding a fresh Summery touch is the perfect way to update your interiors, without going for a total revamp. Bright colour pop accessories give an instant lift, while more permanent fixtures like brightly coloured wardrobe doors can change the whole feel of the room. At Larks and Larks, we specialise in helping to craft your perfect home style, and we love nothing more than bringing a stylish touch to your rooms, especially when colour is involved. A bright and breezy favourite of ours is the arla bedroom door in zesty yellow. This door quite literally brightens up your bedroom, making those early mornings a joy and giving the lighter evenings a playful ambience. 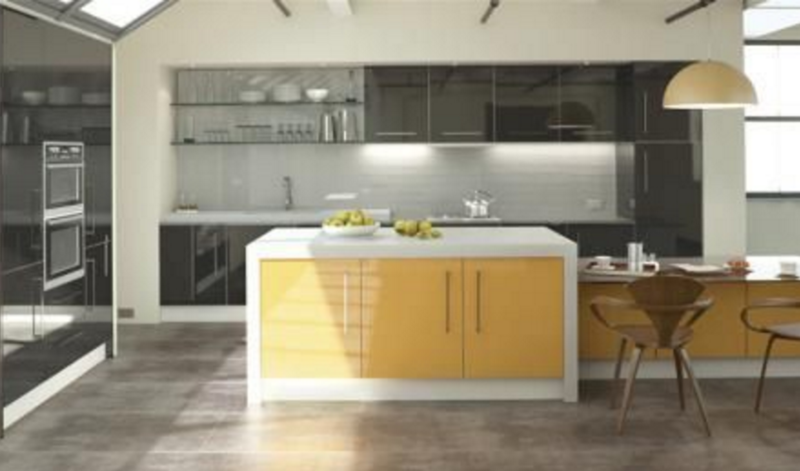 For a more tranquil summer style down in the kitchen, our bowfell painted kitchen doors come in a refreshing mineral hue. Taking your kitchen from drab to fab and making it more than fit for a sociable Summer gathering. When a subtle sweep of colour just isn’t enough – make a statement with a Summer-ready accessory like the sorrento swivel bar stool. Complement your bold pop of colour with smaller accessories like cushions and candles to tie in the whole look and give your room and brand new mood. Even if the weather isn’t playing ball, don’t give up on your right to a Summer vibe. Splashes of colour, fresh components and plenty of light will still give your home the warmth that it craves this time of year.